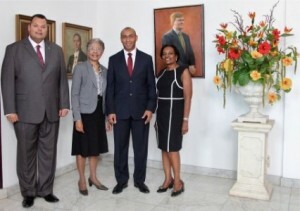 WILLEMSTAD – Wilfred Flocker was sworn in by Governor George Lucille-Wout as a member of the Advisory Council (RvA). Flocker has served in the past as a legal councilor for the Central Bureau of Legal and General Affairs. He then continued his career as an assistant director at ING Trust and as a lawyer at FCW legal. He has also worked for some time as Secretary of the Working Group on Revision and updating of the legal right of the Netherlands Antilles and the Assessment Book 2.